Learn about some of our prior and upcoming speakers. Please note, speakers are invited to speak on a certain topic and do not necessarily reflect the views of Orthodoxy on Tap -NYC. 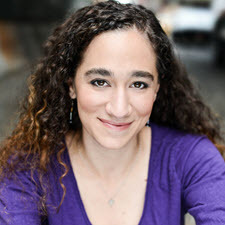 Leah Libresco Sargeant grew up as an atheist and converted to Catholicism when she picked fights with the most interesting wrong people she could find at Yale University. Her writing has appeared in The Washington Post, First Things, The Weekly Standard, The American Interest, The American Conservative, America and other outlets. She has spoken across the United States, as well as Australia, Ireland, and Poland. Her first book, Arriving at Amen: Seven Catholic Prayers that Even I Can Offer, is about her experience learning prayer as a foreign language. Her second, Building the Benedict Option: A Guide to Gathering Two or Three Together in His Name, is about ways to build thicker Christian community. Archpriest Alexander Rentel, a 1995 M.Div. graduate of St. Vladimir’s, finished his doctoral dissertation under the direction of Fr. Robert Taft, SJ, at the Pontifical Oriental Institute in Rome in January 2004. Prior to coming to St. Vladimir’s as a professor, Fr. Alexander was a 2000-2001 Junior Fellow in Byzantine Studies at Dumbarton Oaks, Washington, D.C. He has taken numerous research trips to Greece, Italy, and France. He was ordained to the priesthood in July 2001. He and his wife, Nancy (née Homyak, M.Div. 1995) are the proud parents of three children, Dimitrios, Maria, and Daniel. Kh. 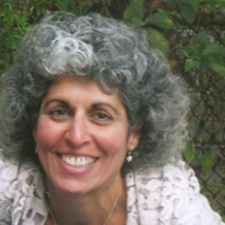 Laila Ellias has worked as a licensed speech/language pathologist since 1984, serving adults and children in a variety of settings: clinic, hospital and school. She currently works for the NYC Department of Education as a Speech Coach, providing professional staff development and training to speech therapists, classroom teachers and other school staff in working with the most severely developmentally challenged students throughout the five boroughs of New York. Laila has taught Church School in each of the three parishes to which Fr. Michael and her family has been assigned: St. Elias, Sylvania, Ohio, St. George, West Roxbury, Massachusetts, and St. Mary, Brooklyn, New York. 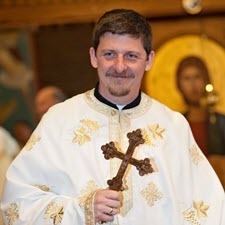 Father Nicholas Belcher serves as the Hierarchical Assistant to His Eminence Metropolitan Joseph at the headquarters of the Antiochian Orthodox Christian Archdiocese of North America, a position he began this past August after serving nine years as the Dean of Students at Hellenic College Holy Cross. 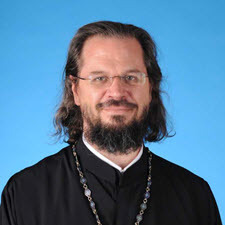 He is a graduate of The Citadel, the Military College of South Carolina and Saint Vladimir’s Orthodox Theological Seminary – where he now serves a Lecturer in Antiochian Liturgics. Fr Nicholas is also a board member of the Theophany Orthodox Christian School in Needham, Massachusetts, helping to continue the work started there by his late wife, Sonia. He lives with his ten year-old son, Andrew, in Park Ridge, New Jersey. 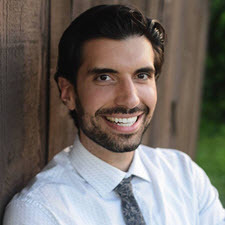 Chris Durante holds a PhD in Ethics from the Religion & Culture area of the Faculty of Religious Studies at McGill University, a MA in Religious Studies from Georgia State University and a MSc in Philosophy of Mental Disorder from King’s College London. As an interdisciplinary scholar he has research and teaching interests in Bioethics, Comparative Religious Ethics, and Moral & Political Philosophy. 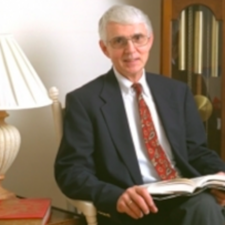 His publications have appeared in journals such as: the American Journal of Bioethics; the Journal of Religious Ethics; Medicine, Health Care and Philosophy; the Journal of Global Ethics; and the Journal of Church & State. 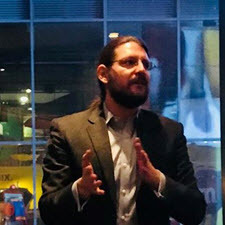 In the past he held a research internship at the Hastings Center for Bioethics and Public Policy; was a researcher in collaboration with the Religion & Globalization Initiative of McGill University and the Tony Blair Faith Foundation; served as a course lecturer in both the Faculty of Religious Studies and the Faculty of Medicine at McGill University; and, has taught in both the Department of Philosophy at St. John’s University and the Department of Philosophy & Religious Studies at Marymount Manhattan College. Have a recommendation for a speaker? If you have a speaker you would like to hear or would like to speak yourself at an upcoming event, please let us know!